Welcome to another NTT, friends! I can't believe it, but summer is officially on the wind-down around here. School starts in a mere week and a half, and this is the time around our house that we clean out closets and toys, get everything organized, and make sure we're fully prepared to kick off the school year. I have been working on a mini quilt for a swap that my guild is doing, but I can't reveal that quite yet! So, we'll all just ogle some of the lovelies that were linked up last week... and oh boy, were there some stunners! 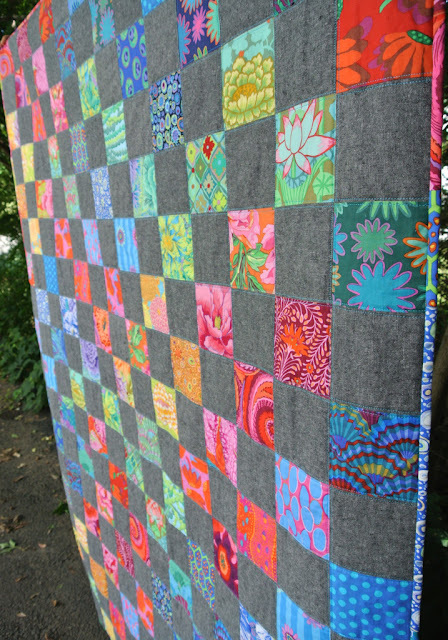 Like this beautiful Kaffe and Essex linen quilt by Elise at Lovelea Designs. Or the progress being made on this Technicolor Galaxy quilt by Jayne at Twiggy and Opal. 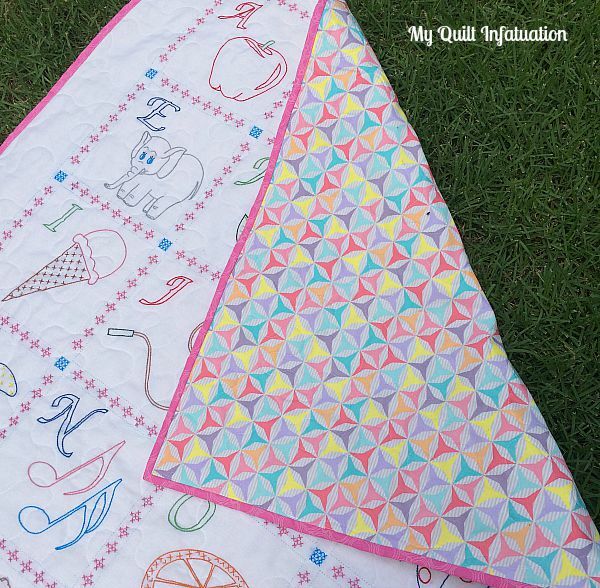 And even this pretty quilt by Beth at Cooking Up Quilts! So much awesomeness! Time to link up your latest projects! My wild thing spent the week at my parents' house last week, so they brought him back to us and visited this weekend. After making my Posy quilt, I had several bits of fabric left over and I decided to turn them into a little baby quilt, and this project was the perfect thing to squeeze in before hosting out of town company. I just love this fabric line, and since I had enough left over for another project, I just couldn't bear to put them into my scrap jars. Besides, when I have lots of coordinating scraps at one time, turning them into baby and preemie quilts is one way that I keep them from completely taking over my studio. I found this awesomely bright Denyse Schmidt polkadot for the backing. It's hard to tell in this photo, but the polkadots are outlined in dark green to really make them pop against the lemon yellow; and the turquoise tonal polkadot binding frames it nicely. I'm not sure you can ever have too many polkadots! 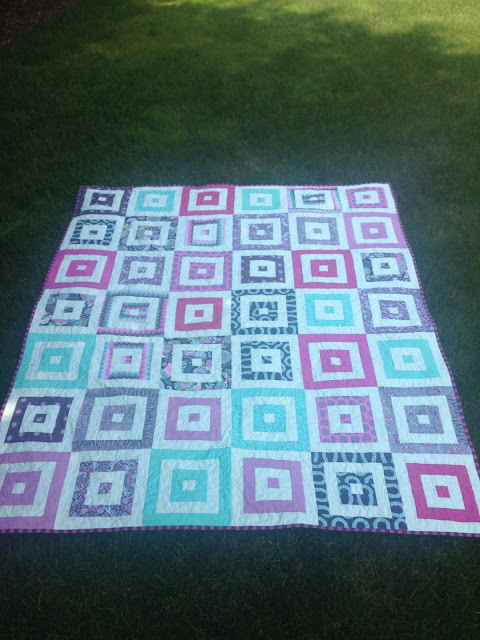 This little quilt measures right at 42 inches square, and is destined for my cousin, who has a baby girl due later this year. After making this quilt, I only had four scrap pieces to put into my jars. That feels like a victory to me! Of course, I can't always use every single piece of fabric, and every summer, I purge my scrap jars with quilts like my Shattered Rainbow and Kitchen Sink. So, what's your system for keeping your scraps in check? Do you prefer to hold onto them until you have enough for a bigger project, or do you use them on smaller projects along the way like I do? Do you like to work on leader-ender projects or tackle them all at once? I know everyone works differently, and I would love to hear! Happy NTT, friends! Since getting back in town and picking up my machine from servicing, I've been working on a couple of small projects. No... your eyes do not deceive you. Despite the fact that this quilt is hand embroidered, I have NOT turned over a new leaf and suddenly decided that I like hand work. I quilted this little baby quilt for my grandmother. Ironically, even though my grandmother has quilted for years, these days she doesn't enjoy it nearly as much as she loves hand sewing. Since she still loves giving baby quilts when a new great-grandchild is born, she asked if I would finish the embroidered quilt tops for her after she finishes them from now on. Her embroidery is absolutely gorgeous and I loved being able to choose a backing, quilt, and bind this one for her. I quilted with simple stippling with white thread, right over the embroidery (before washing), and it just blends right in, letting the embroidery shine. 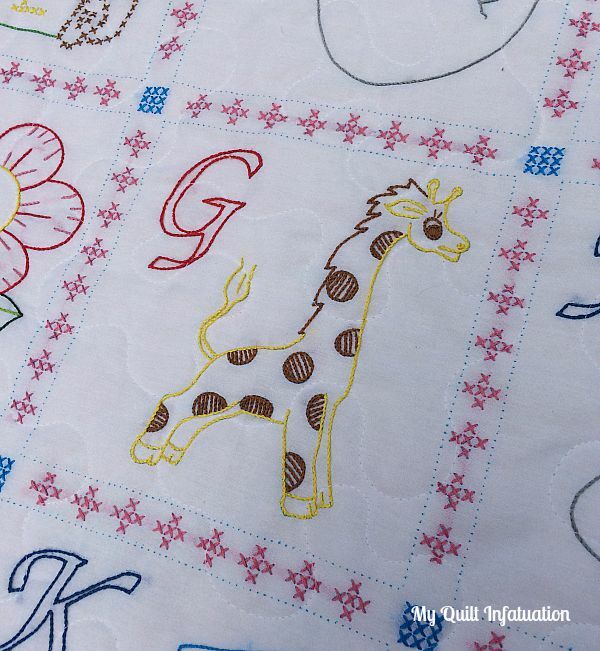 The little giraffe is my favorite block! I also made a couple of pillows for my mom to match the quilt I made for her last year. Since the pillows are made from solid panels, they went together fairly quickly, but I must say that it was tricky to get ahold of the Chateau Rouge fabric. Since the line has been around for awhile, I had to do some searching for the prints I wanted. The red medallion print looks great on the front, with the busier tan print on the back of each. These are going to look great in her living room! Last week's party was really amazing, and filled with wonderful inspiration as always. 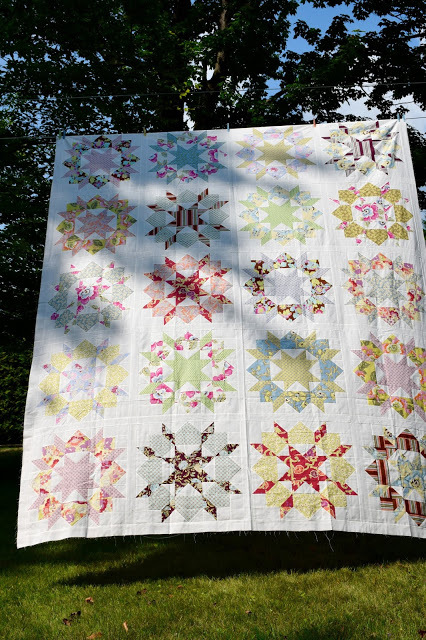 Maryse Makes Things linked up this stunning Swoon quilt top. Beth at Cooking Up Quilts showed off his pretty finished top. and I love the colors in this quilt from Beth at Hello Quilty Lady. I loved browsing all of the fantastic projects last week while I traveled, and I can't wait to see this week's link-ups! Let's party! 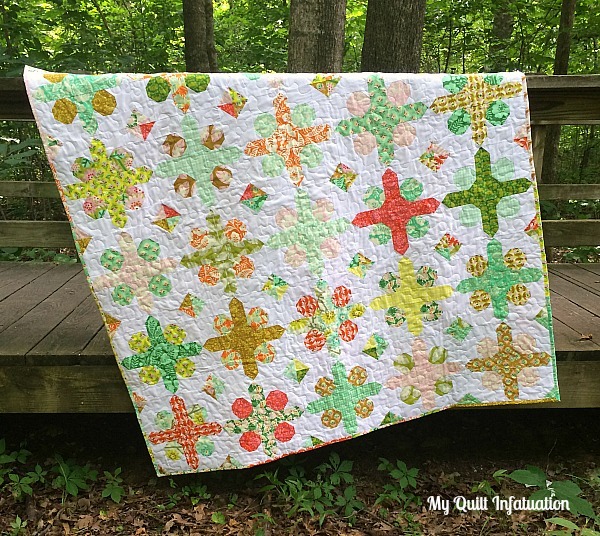 'Tis the season for Christmas in July, and I am thrilled to get the opportunity to participate in the holiday series for the Benartex blog, Sew in Love With Fabric. 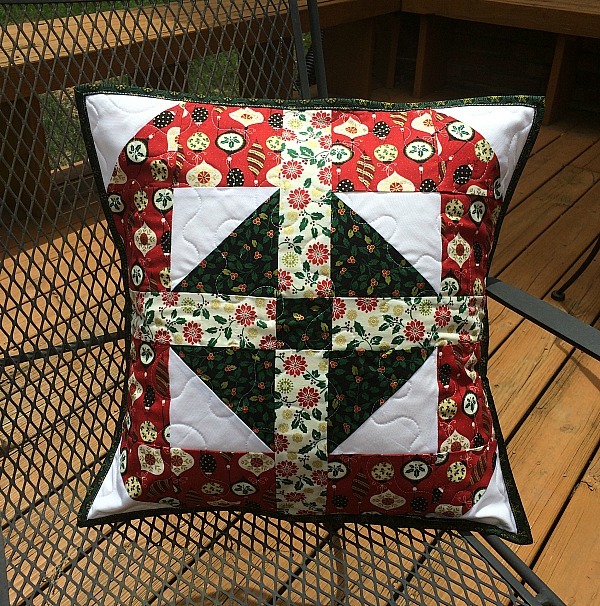 For my stop on the blog hop, I made a tutorial for an 18-inch Christmas gift inspired pillow! 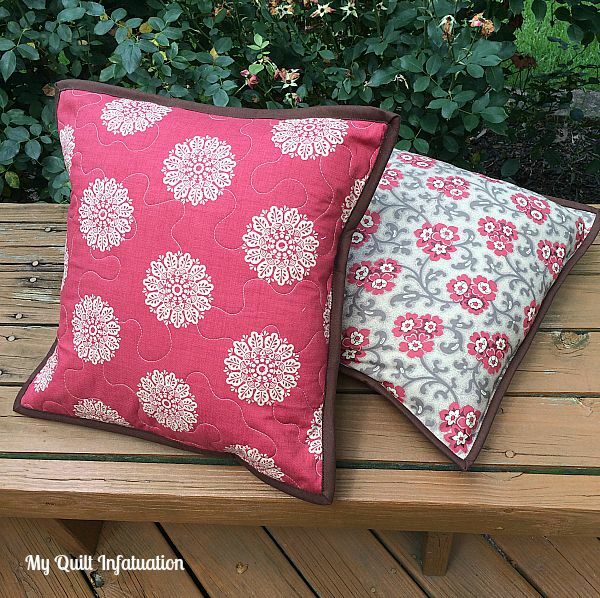 This pillow is made with the gorgeous Ornamental Splendor fabric line, and goes together really quickly. 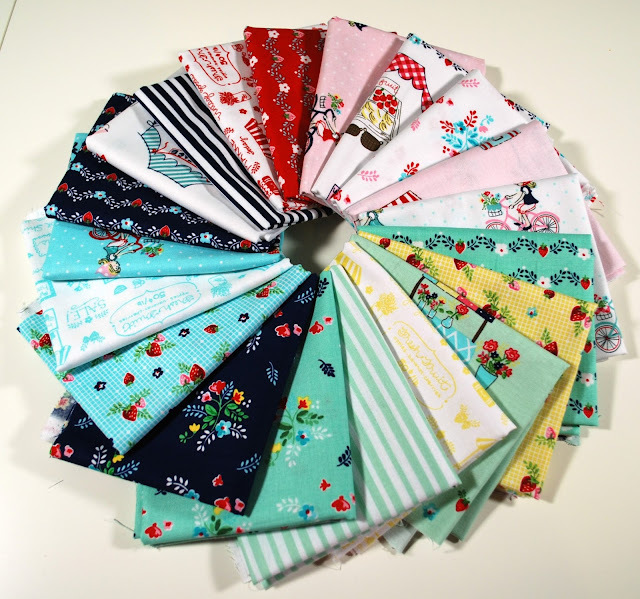 I am delighted to let you know that the kind folks at Benartex are giving away a fat quarter bundle of this beautiful collection. To enter the giveaway, become a follower of the Benartex blog, Sew in Love With Fabric, and leave a comment to let me know how you follow. I'll announce the winner at next week's NTT. 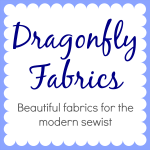 Good luck to all, and hop over to Sew in Love With Fabric to check out the full tutorial, along with all of the other fantastic projects being showcased this week! 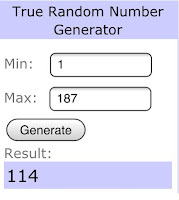 It's the end of the weekend, and that means that I owe you a winner for this month's giveaway! 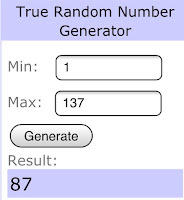 The lucky winner of a $50 gift certificate to Fat Quarter Shop is Christine, comment number 87! Congratulations, Christine! I'll be contacting you via email soon and I hope you have fun spending your gift card! Thanks so much to all who entered, and remember to be on the lookout for the next giveaway in August! Hooray! My latest pattern, Posy, is finished and now in my Craftsy and Etsy shops! I love how this pattern looks like a bunch of delicate flowers. 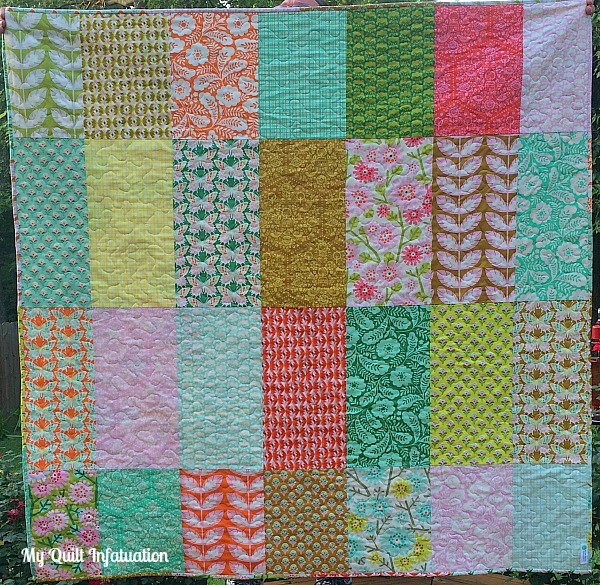 The Clementine fabrics that I used for the quilts are soft, and although I love them in person, the photos didn't show off the negative space in the quilt as well as I'd hoped. So, I included a more vibrant electronic rendering on the cover as well. You can really see the way the ordered placement of light and dark fabrics changes the look of the quilt versus a scrappier layout. 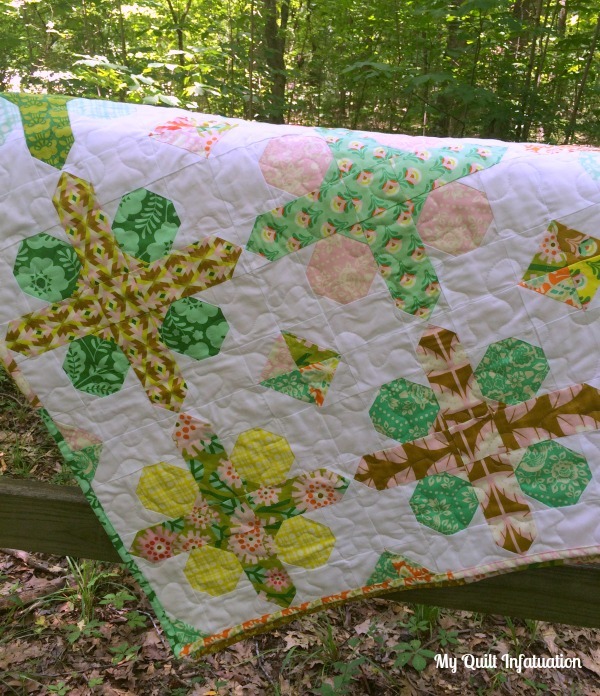 This was a fun quilt to make, and includes all traditional piecing (no curves!). I hope you'll check it out in my shop! My days all start to run together when I travel, and I almost let NTT slip by! Of course, travel also means that I am lacking any new sewing progress, so we'll get right down to last week's highlights! 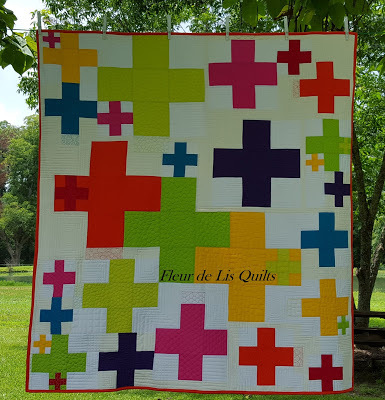 Mary at Fleur de Lis Quilts linked up this awesome modern cross quilt. 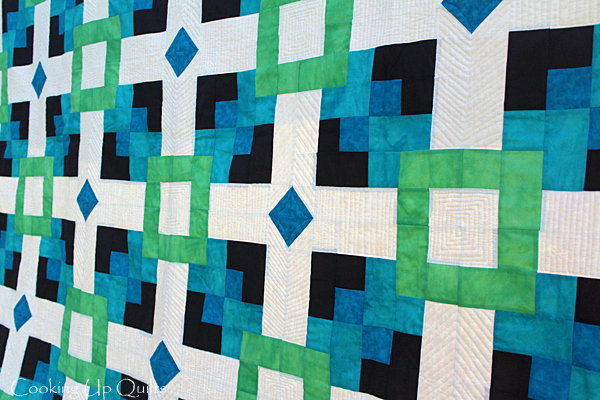 Jen's Crafts and Quilts Scrapbook showed off this pretty plus quilt is my favorite shades of blue and green. 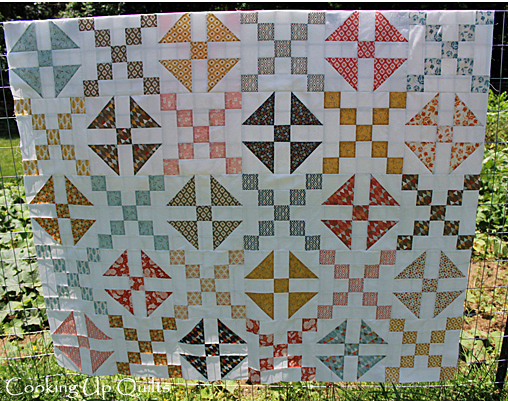 and this simple and fun HST quilt by Myra at Busy Hands Quilts is fantastic! Let's get down to this week's party! Bring it on! Welcome to another month filled with awesome deals and happenings from all of my fabulous sponsors. There's lots going on, including a $50 gift certificate giveaway! Let's start off with my Fabric Please! who I welcomed just last week as a brand new sponsor. If you missed it, be sure to check out my post HERE, but I wanted to remind you that throughout the month of July, Rita at Fabric Please! 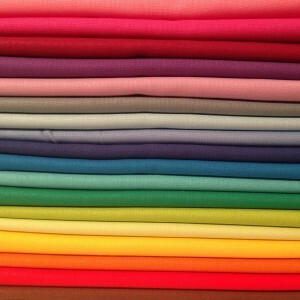 is offering my readers 20% off of your entire purchase, including these gorgeous solids! Just use the code INFATUATION. 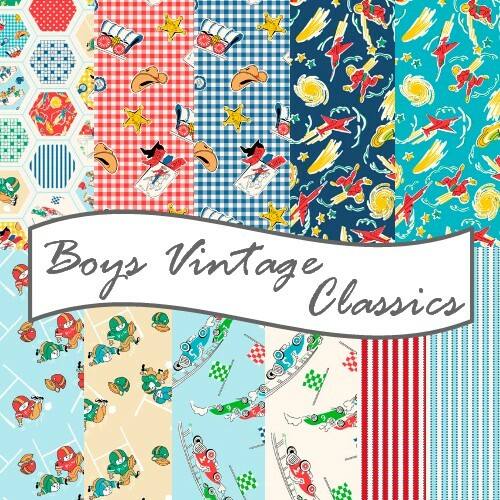 At Fort Worth Fabric Studio, Jodie has the brand new, adorable Boys Vintage Classics collection by Exclusively Quilters available in yardage as well as fat quarter bundles. I don't know about you, but I struggle to find cute boys fabrics. 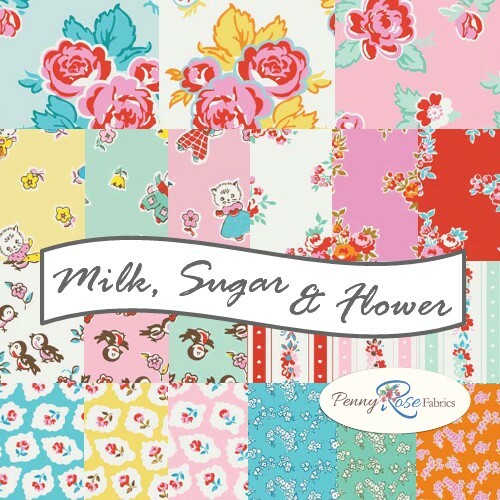 They also have the sweet Milk, Sugar, and Flower collection by Penny Rose at 30% off with the code MILK30! 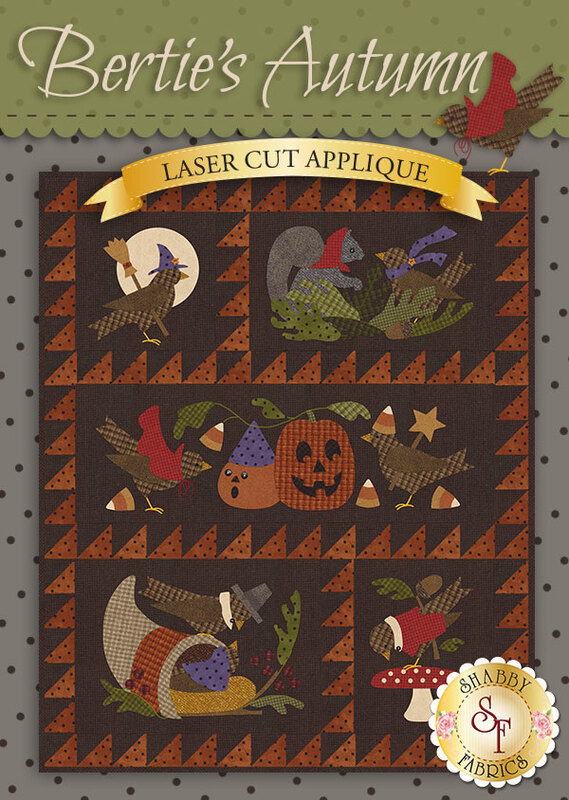 Over at Shabby Fabrics, they're launching a brand new Block of the Month called Bertie's Autumn. The program is four months long, beginning in October, but sign ups are open now! 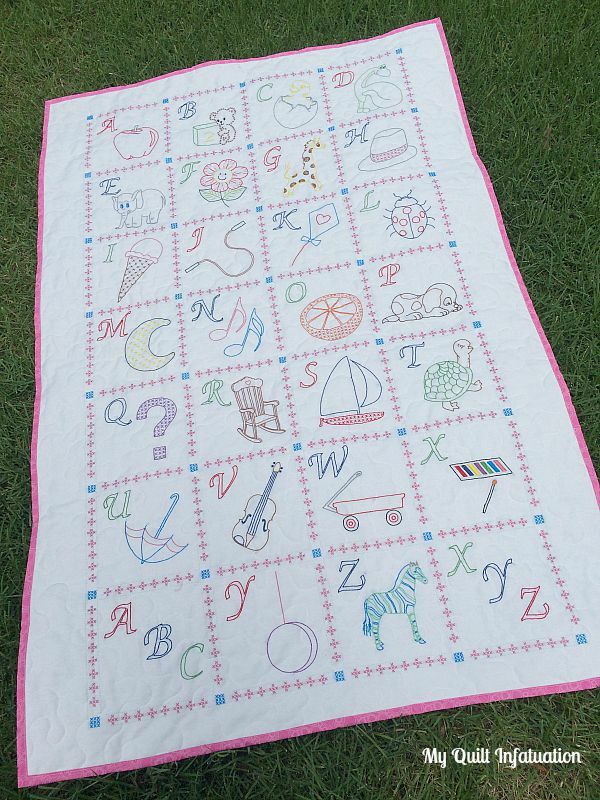 This flannel quilt finishes at 28x34 and has appliqué, traditional piecing, and simple hand embroidery. All of the appliqué is pre-fused and laser cut, so there is no tracing, cutting, or edge turning. This BOM includes all patterns, buttons, and fabrics- even including backing! Click HERE for more info! I know I've mentioned this before, but have you checked out Southern Fabric's Deal of the Day? If not, you really should. It is just what it sounds like. One unbeatable deal, for 24 hours, and then it's gone. 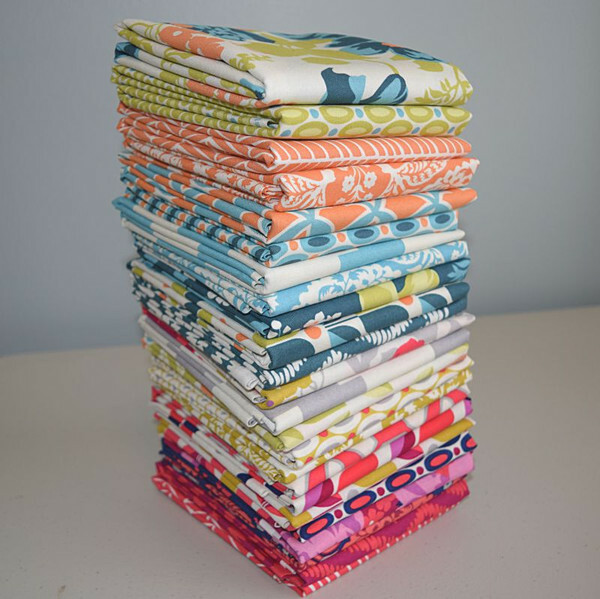 For instance, as I type this post, the deal is 60% off of an Anna Maria Horner Pretty Potent jelly roll! Obviously, by the time the post is live, that deal will be long gone, but not to worry. Another equally fantastic deal will be right there to take its place! See what today's deal is HERE! 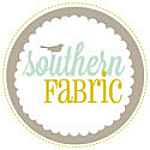 Southern Fabric also has lots of fresh, new modern fabric lines in, including all of my holiday favorites as well as great basics, like Modern Minis by Lori Holt. 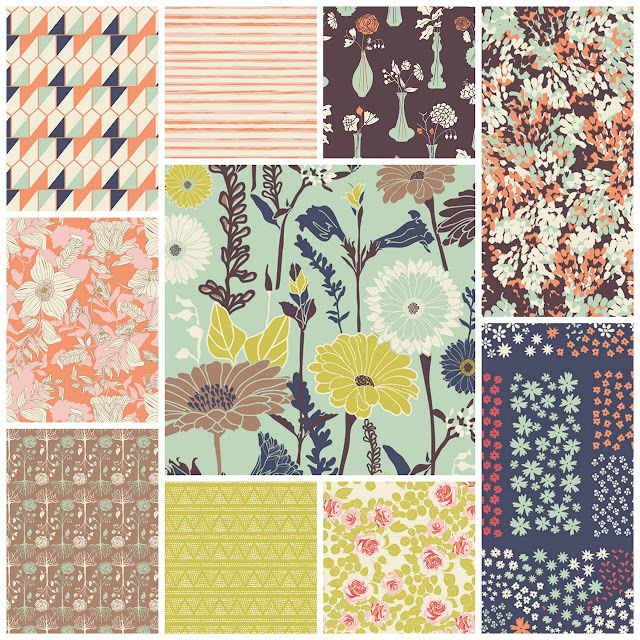 Dragonfly Fabrics has several new lines in as well, including Vintage Market by Riley Blake, and Cultivate by Art Gallery. and Fantasia by Sara Larsen is on sale right now! It is 15% off with the code Fantasia15! 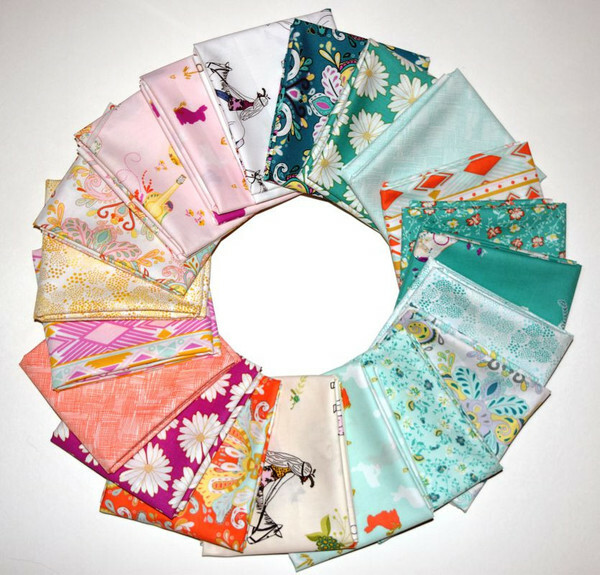 One of the very best things about ordering from Dragonfly Fabrics is that they perfectly coordinate solids with every fabric line. There is no wondering about whether the color on the screen is true, and if the solid you've chosen will match your fabrics. It's awesome! 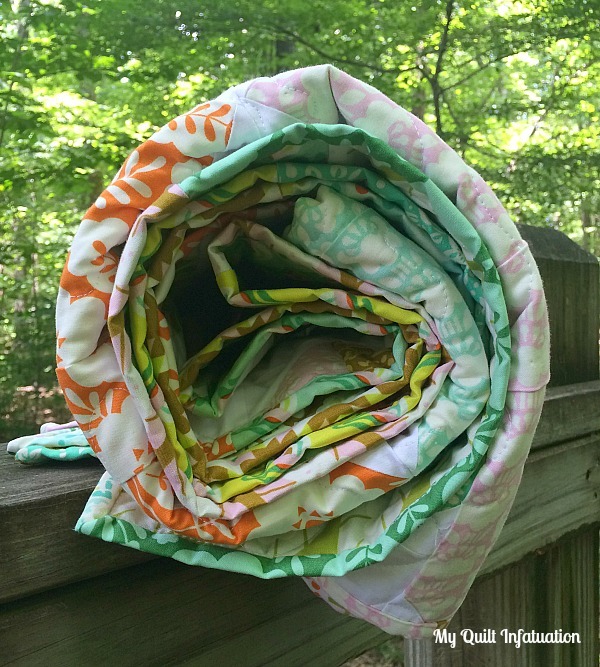 Lady Belle Fabric has quickly become one of my favorite places to get my fabric fix. They have some of the best prices on fat quarter bundles I have ever seen, and her cuts are always generous. For example, This Joel Dewberry Flora full collection bundle is only $52.70! Other bundles on sale include Joel Dewberry Birch Farm, Bazaar Style by Pat Bravo, and Color Theory by V and Co... and that's just a few! Lady Belle also has several new arrivals, including these beauties- Art Gallery's Anna Elise. Last, but certainly not least, is the sponsor of our awesome giveaway this month- Fat Quarter Shop! 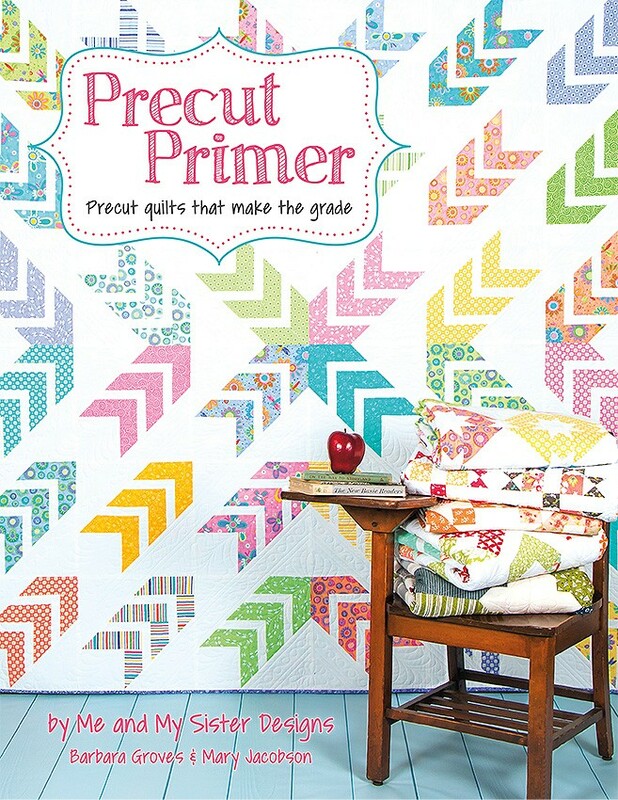 Fat Quarter Shop is gearing up for the release of the new book Precut Primer. 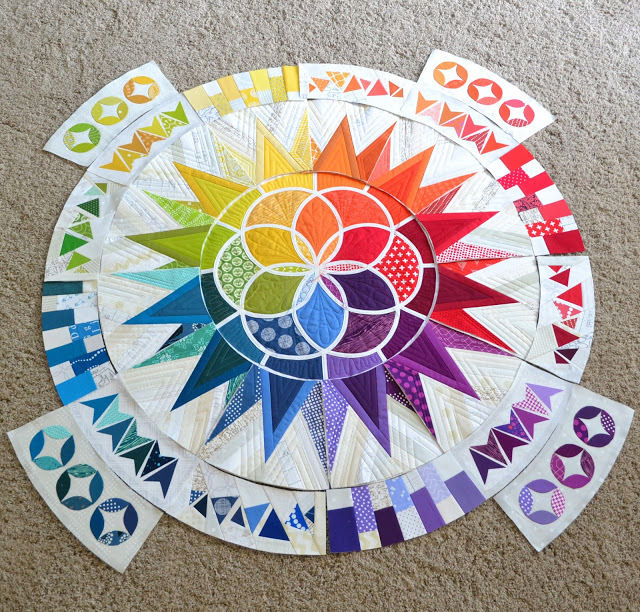 Do you ever hear the terms- fat quarter, jelly roll, turnover, charm pack, layer cakes, fat eighths and wonder what they are, and more importantly, how to use them? Well, that's exactly what this book, by Me and My Sister Designs, is all about! The books contains twelve different projects, and every single precut is covered! 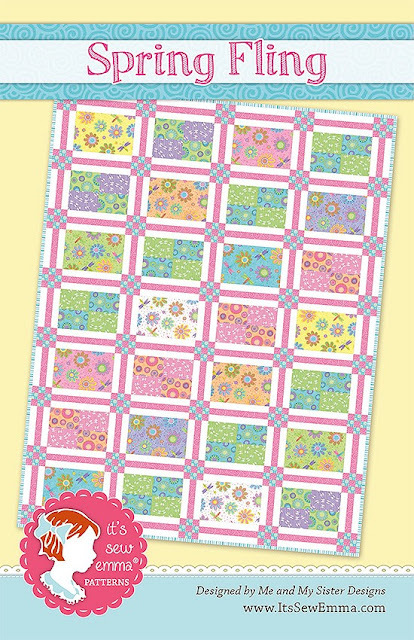 The book will be available in August, but you can preorder now and receive the Spring Fling pattern free! Fat Quarter Shop is generously giving away a $50 gift certificate to a lucky reader! To enter, just leave a comment on this post, letting me know how you would chose to spend your prize. 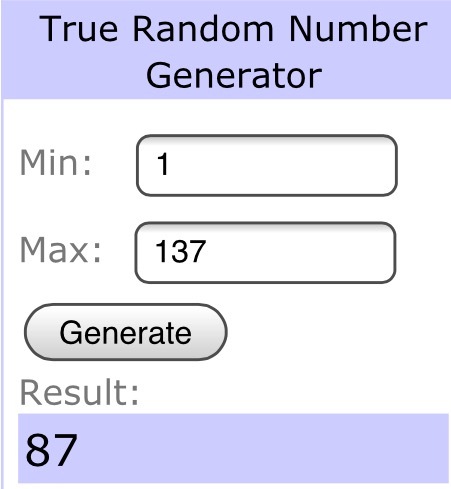 Mr. Random will help me choose a winner on Sunday evening (7/19). As always, be sure that you leave your email address if you are a no-reply blogger! Good luck and happy shopping! 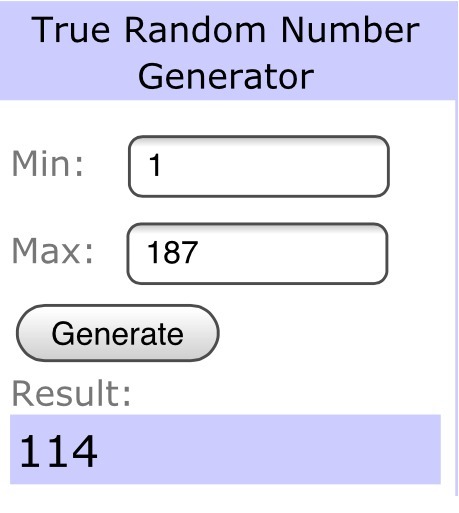 **This giveaway has now ended. Thanks to all who entered! ps- I host giveaways at least monthly, and sometimes more frequently, enabled by my awesome sponsors. Follow me, or subscribe to my posts with your email address so that you don't miss them! You can find all of the appropriate buttons to stay connected on my right sidebar!